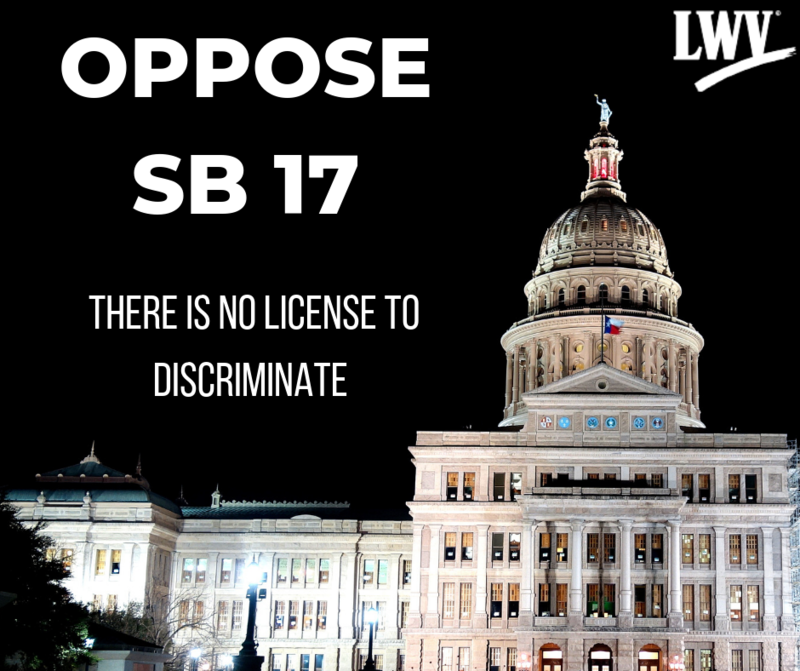 Senate Bill 17 – The “License to Discriminate,” has passed the Senate and we need to stop it in the House! It will allow holders of state occupational licenses to refuse service to anyone based on the “sincerely-held" religious beliefs. This is a vehicle to justify discrimination, particularly against LGBTQ Texans. Government should ensure that one person’s religion is not used as a justification to exclude others from full participation in American life. These religious exemption bills have been used in at least six other states to deny services to the LGBTQ community. People of color and other minorities have similarly been denied equal rights through legalized discrimination. All Americans deserve equal rights. This bill has passed the Senate. We must stop it in the House!